Manufacturer of a wide range of products which include men's drill shorts and cotton drill shorts. Owing to our strong industrial prowess, we have become able to present the best qualityMen's Drill Shorts. These shorts are made from 100% cotton material and exceed the expectations of discerning clientele who find these shorts amazingly soft against skin. The sweat absorbing shorts are ideal to sports activities and drills. Further, these shorts are designed with elastic waistband that is highly comfortable and stays in the shape forever. With the support of vast infrastructure, we are involved in presenting highly demanded Cotton Drill Shorts . 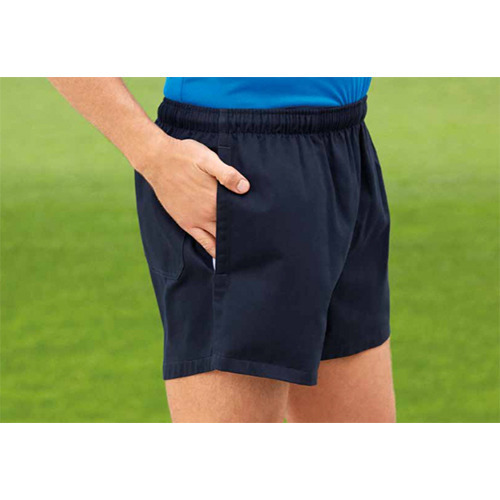 The offered shorts are designed for offering a comfortable outfit during sports drills and jogging. Made with spacious pockets for optimum comfort these shorts feature 210 GSM thread count which is 100% cotton. Further, our offered drill shorts are available in small, medium and large sizes at a leading price.